“Saliente” is harder to translate. Literally, it means “outgoing” or “exit.” But it has a secondary meaning that could mean “ledge” or “promontory.” Given that this part of Planning Area 2 is on a ridgeline, I’m guessing that the latter meaning was intended. Think of it as the equivalent of “Promontory Road”. “Aprender” means “to learn,” as in vamos a la escuela a aprender. The Esencia school entrance is likely going to be located on Aprender Street. Well played, Rancho Mission Viejo. Don Juan gives you a slow clap for that one. We had a hard time with “Andaza.” It’s not a Spanish word that we know and our searching revealed only a Hindustani translation for “unique style” and a Persian word for “size.” We’re going with the Hindi/Urdu meaning of “unique style” although who knows, it might be a made up word or the name of the newest family member. 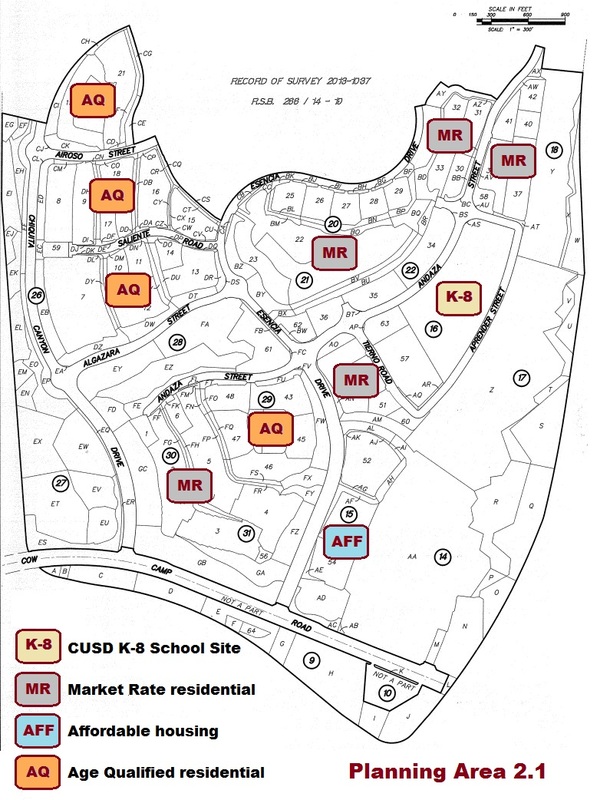 Rancho Mission Viejo draws street name inspiration from a number of different sources, as we’ve previously discussed. 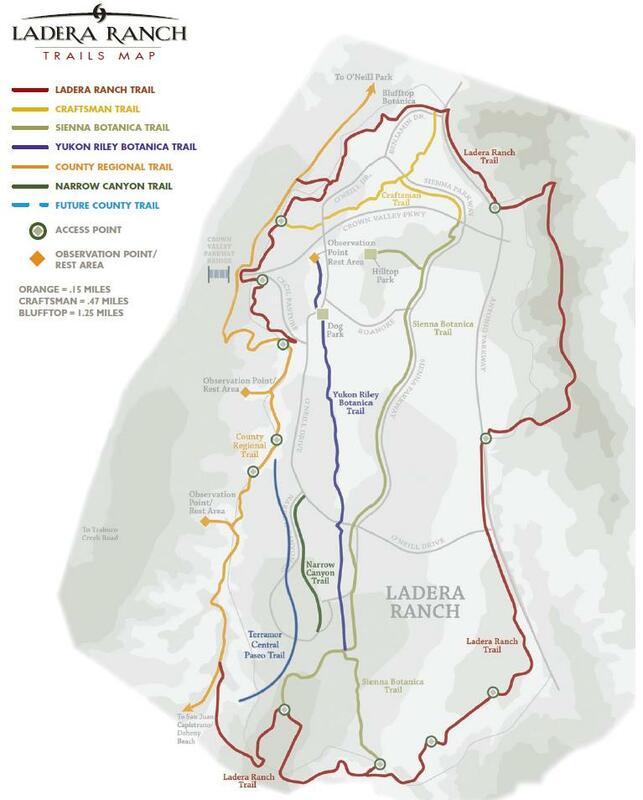 Of course, there will also be Cow Camp Road and Chiquita Canyon Drive bordering Planning Area 2, and Esencia Drive bisecting the new community. As you review the map above, recall that in Esencia, we believe the age qualified houses will not be gated off from the rest of the community. You can see that reflected in the street patterns above. It’s possible that the vicinity of area 28 will be the oak strand park, although the corner of it (lot 61 0ff Esencia Drive) is the location of the community clubhouse. The oaks being preserved are heritage oaks, so this area is going to be dramatic open space featuring mature trees. 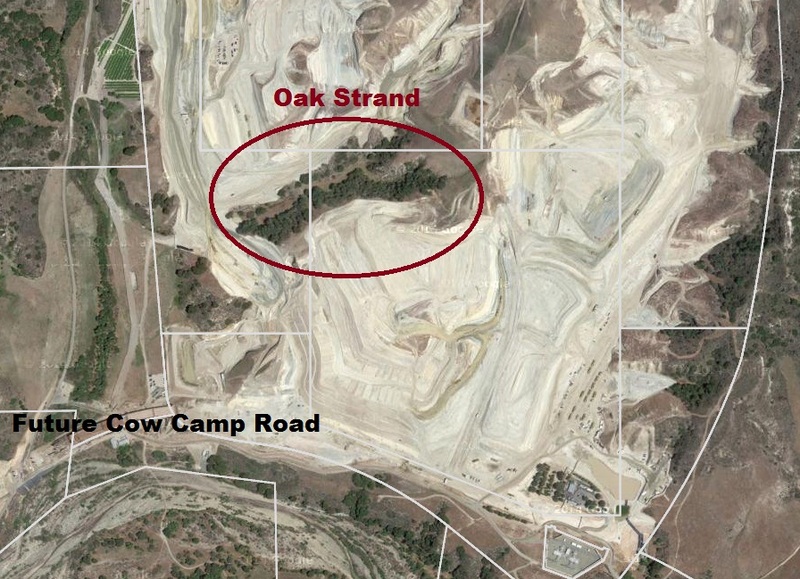 In the recent satellite image below, you can see the grading going on all around the oak strand, which is being protected in place. 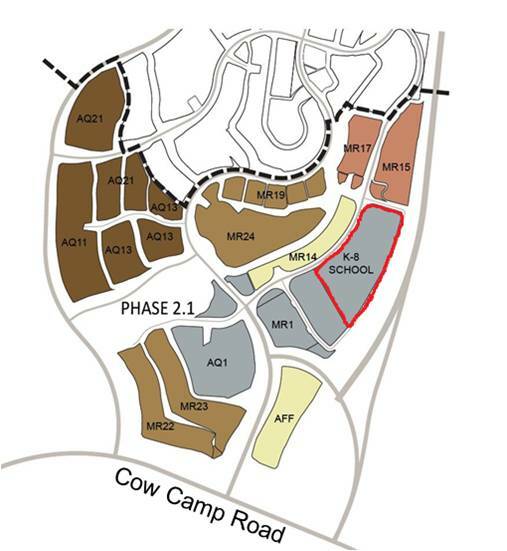 We also believe that there will be a large shared use park between the school site and Tierno Road (lots 63 and 57). If and when the 241 toll road (or a substitute arterial street) is extended to Cow Camp Road, we believe it will traverse lots 18, 17 and 14 in the map above where it will intersect with Cow Camp Road. 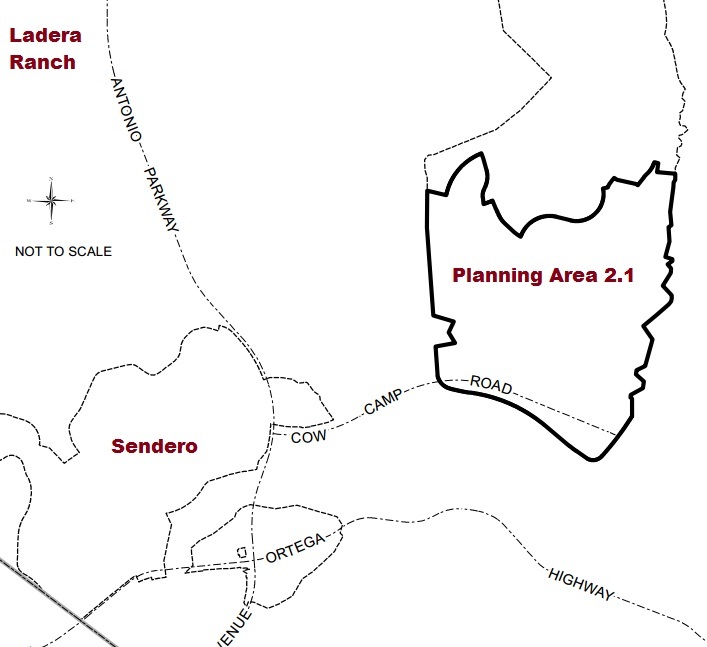 This article describes more of what we know about Planning Area 2, if you are interested. 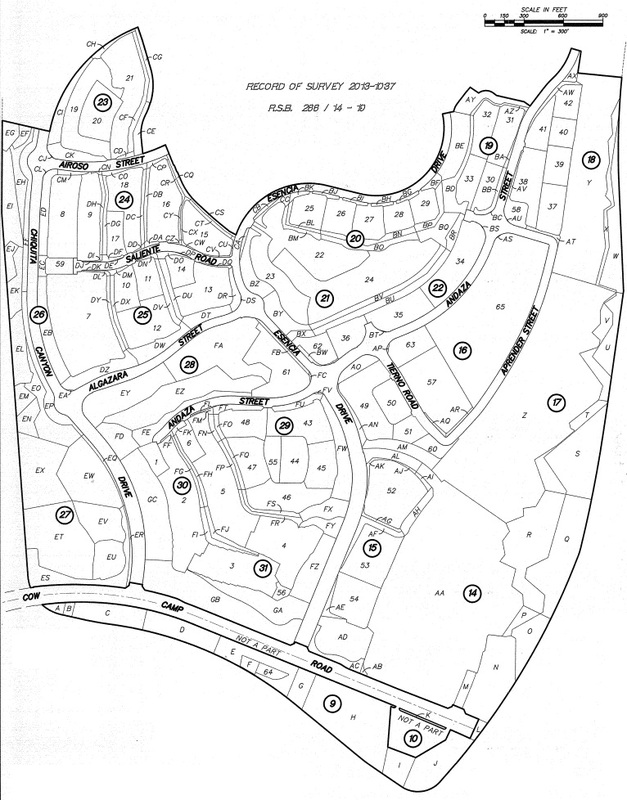 Note that there is no retail or commercial space in Planning Area 2.1. All of Planning Area 2′s retail and commercial space is located in future phases, north of Chiquita Canyon Drive.